Many times, I’ve been asked how it was to travel alone and what gave me the courage to do so. 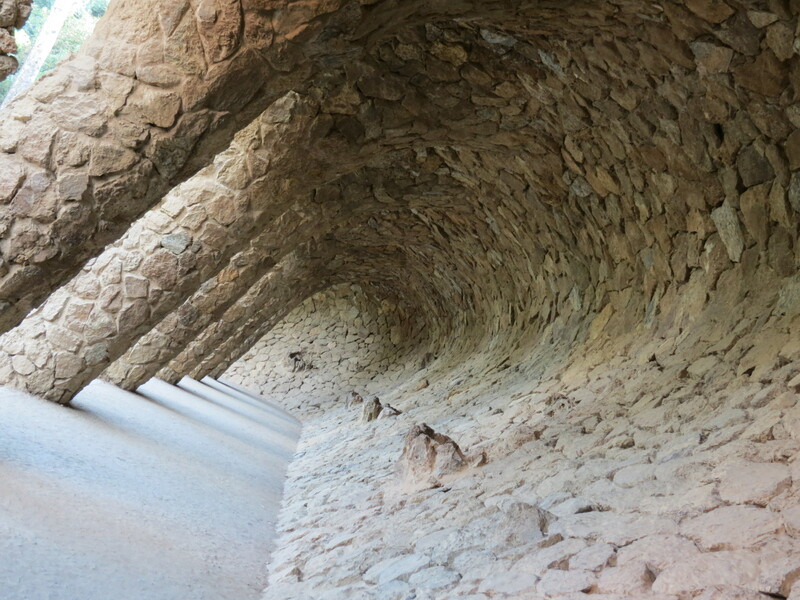 Well, if you’ve been reading my blog for a while, you’d know that I was supposed to go on my Eurotrip with a friend, but she backed out right when we started to fix things with my travel agent. When she told me about not going, my first worry was not about having to go alone, nor did it once cross my mind about not going anymore, but it was about my Dad not allowing me. Surprisingly enough, he was okay with the idea, specially since I was going to be with a tour group (Contiki – more on this on another post). I also had the option to go with another group of friends, but they weren’t going to a couple of cities I had my eye on, so that just did it. I decided to go on my own. Would I travel alone all over again? In a heart beat. Is it for everyone? I really don’t know, but maybe this post will help others out there who are contemplating whether or not to travel alone by tackling the most common myths about solo travel with my very own stories about travelling to Europe alone. 1) I will get kidnapped. This is one of the most common myths fears about travelling alone. Yes, sadly, there is that teeny-weeny possibility of you getting kidnapped, but travelling alone is a risk in itself – one of the biggest risks of all, but it pretty much boils down to common sense and one’s alertness. Admittedly though, I made quite a few risky decisions when I was in Europe last year, which could have easily placed me in dangerous situations; but thank God, I got home in one piece. At the same time, those mistakes, as I put it, were learning experiences for me. No, no, and no. If it is your heart’s desire to travel, then this will never happen. 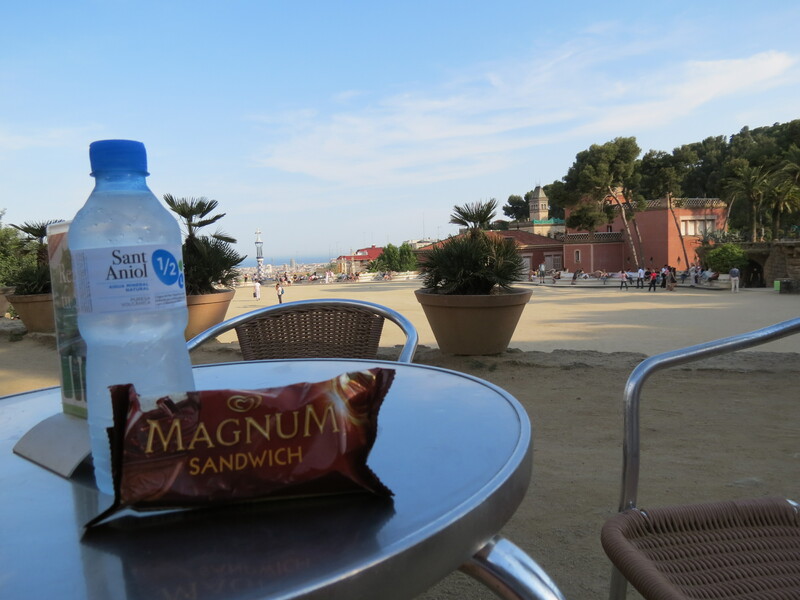 It doesn’t matter if you don’t have anyone to talk to while you’re sitting on a bench in Park Güell; just like I did, you can get a bottle of water and ice cream, and simply enjoy your surroundings. For me, the view overlooking the city was more than enough. Wherever you travel, you will always find something new to do. 3) I won’t know where to go. I’ll get lost. Time to cue common sense once again! Before going on your trip, you must research. Read, look at photos, check GoogleMaps if you must! GoogleMaps and also Google itself automatically become my bestfriends prior to and during any trip. If I want to go somewhere in particular, I check how far it is from where I’ll be staying and how I can get there. I take tons of screenshots from GoogleMaps as well and copy it onto my iPad; incase I get lost, I can find my way back. 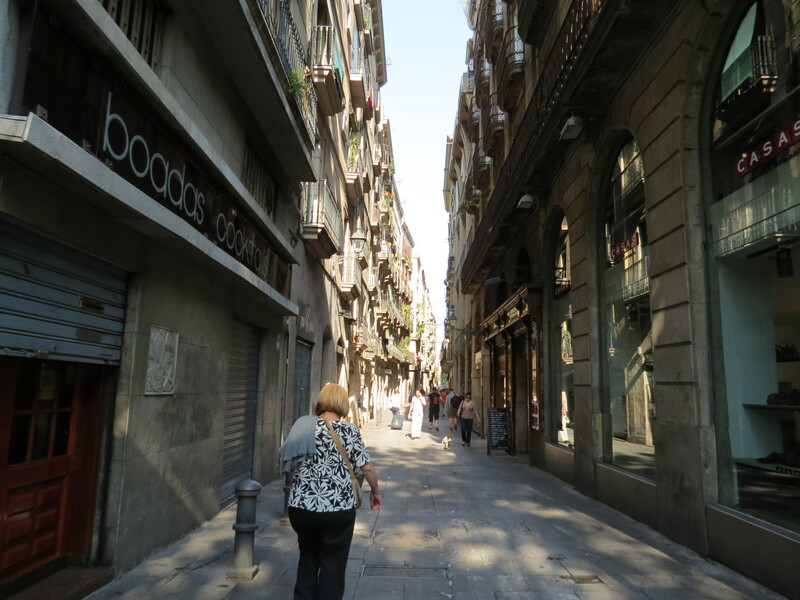 In Barcelona, I walked the streets of Las Ramblas on my own and got lost in the side streets, with my alertness still in tact. I paid close attention to the buildings I was passing and made sure that there were at least a number of (unthreatening) people in every area I was headed. I even took photos of the streets I was passing incase I got confused, I’d just have to look through the photos in my camera. Also, getting lost can sometimes be the best way to see the city, just like when 2 of my tourmates and I got lost in Prague. (Full story here). Then again, I was with two other tour-mates; but ultimately, when you travel alone – specially in Europe – you’re bound to meet a fellow solo traveller who you can eventually sight-see with – may it be on a tour or the hostel/hotel you’re staying in, or even in a pub. Another tip, get a map and know where the place you’re staying in is on the map! Make sure you know how to read maps though. It could be a far greater tool than you could ever imagine. 4) I shouldn’t talk to strangers. One thing I realized when I was travelling alone is that I really am no longer a child. Growing up, I’m sure pretty much all the kids were warned by their parents not to talk to strangers. Well, folks, we aren’t kids anymore (unless there are 8-year-olds reading this blog, then that’s a different story, haha). Just be aware, very aware. 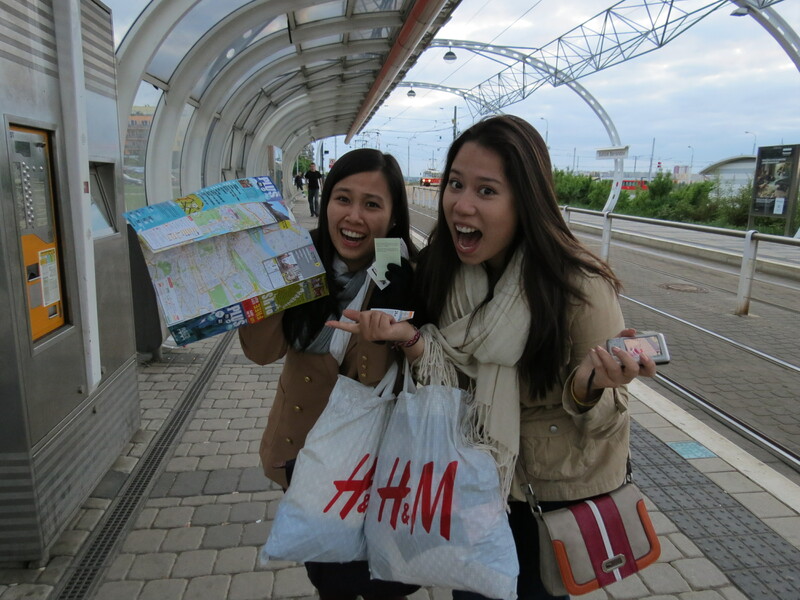 In Rome, I spoke to a Filipina who ended up helping my tour-mates and I find which train stop we’re supposed to get off at. 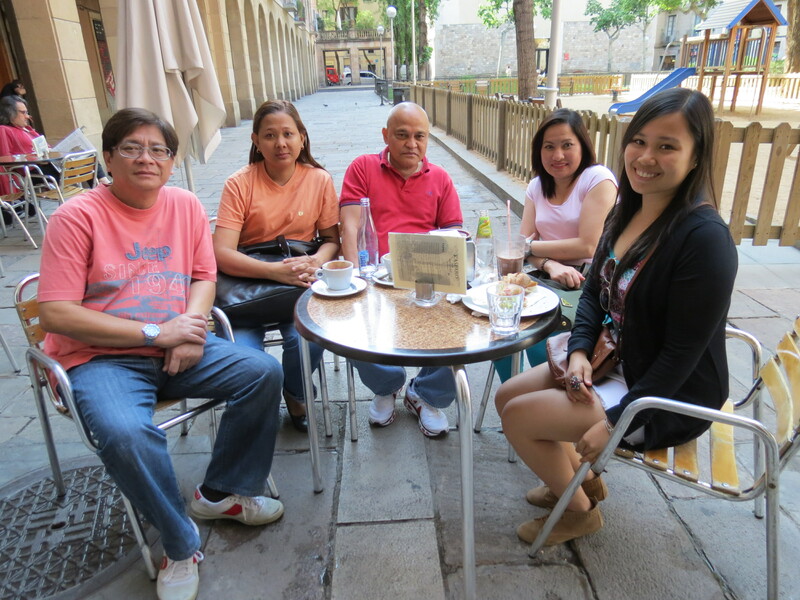 In Barcelona, I ended up having lunch with a Filipino family, who paid for my meal. 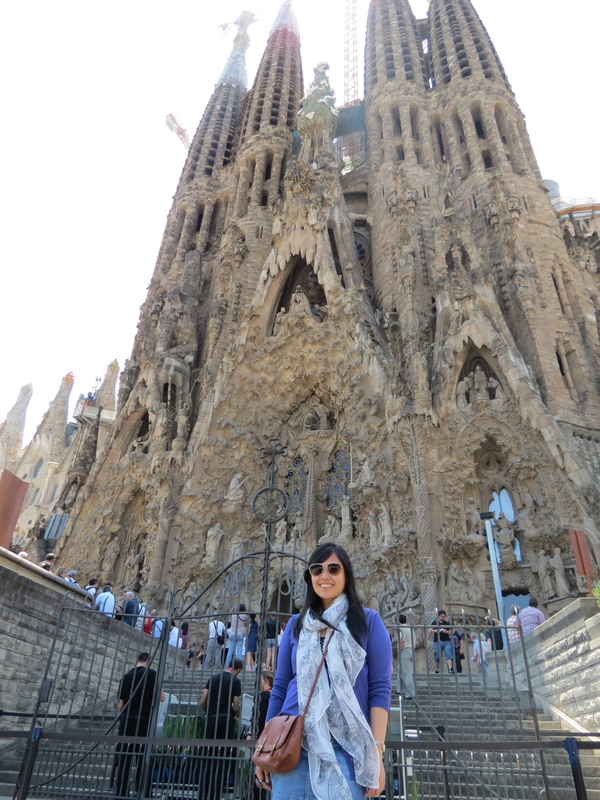 In Barcelona then again (this was my real solo trip, which is why most of my stories are cited from this trip), I talked to a Spanish taxi driver who ended up telling me stories in fluent Spanish, that I didn’t really understand… Haha! And sometimes, talking to these strangers (as creepy as this word sounds) can eventually end up in long-lasting friendships! 5) No one will take my pictures. It’s all about knowing who to approach and when to ask. During my tour, I was lucky that the people I grew to be close with didn’t mind taking a photo of me with…pretty much everything. In return, I took photos of them as well, of course. Aside from the tour, I found myself keeping my eyes open for prospective photo takers. More or less, you will find someone who’s willing to take your photo that doesn’t look like a camera-thief, like I usually do. If all else fails, take selfies. 6) I can’t travel alone. I’ve heard this time and time again from people who opt not to travel just because they can’t find anyone to travel with, and I believe that you’re limiting yourself if you make this one of your reasons. Can’t is very different from won’t. Anyone can travel alone. If there’s a will, there’s a way. You choose not to travel alone simply because you don’t want to, not because you can’t. So I say, get off that high horse and gather up all your courage, so you can finally get out of your comfort zone. I’m proud to say that this was never a challenge for me, since I’ve always believed that travelling alone is one way to get to know oneself even more and develop into a better person. 7) Travelling alone is sad. Last but not the least, travelling alone is not sad, unless of course, your outlook on a solo trip is negative from the beginning. Then that’s not a problem in general, it’s your problem. Let me just put it this way, I’ve gone on a number of trips and Europe 2012 is the first trip I can say, I’ve really gone on on my own – without bringing anyone from home with me and it is the best trip I’ve been on. I also deem it as the best decision of my life! What did I get from travelling alone? A couple of life-long friends from all around the globe, life-changing moments, adventures for the books – just like the ones you see in movies, and a friendship that blossomed into something that has grown to be very special to me 😉 That doesn’t sound sad at all, does it? In conclusion, I honestly cannot say if travelling alone is for everyone, but I know it is for me. I guess it really all depends on you. You’ll know if you’re ready or not for such an experience. If not, I do hope that one day, you’ll take that leap of faith and go on the solo trip of a lifetime, just like I did.